Learn to remove the emotion from financial decisions and face some hard truths. The first 10 days is probably the toughest. If you can make it through this part, you've got a chance. Learn to compare apples to apples and question your sacred spending cows. Budgeting is just math, in theory, but somehow we find plenty of ways to cheat. This is really the entire point of the guide, but I save it for last to ease you in. Learn to make money decisions consciously. Choose what you spend and don't spend money on. This is a read-it-as-you-go guide, more workbook than textbook. 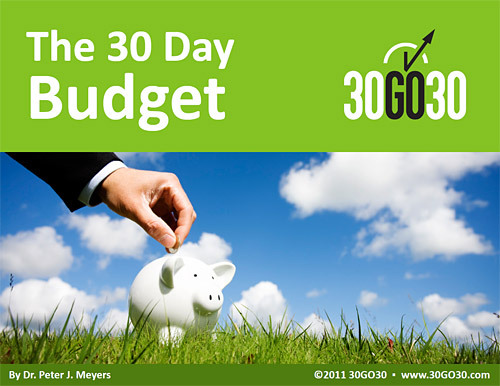 Although the 30 Day Budget is based on my own journey, I'm going to practice what I preach and put myself through it again. It starts Monday, and I'll recap each 10-day section. If you want to join me, just chime in below.